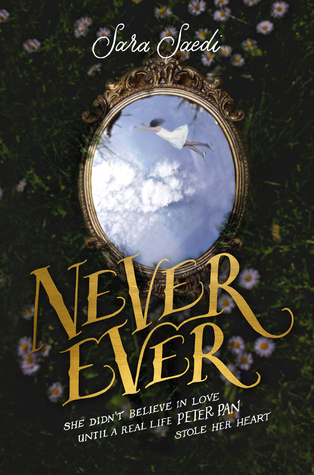 While I was blog hopping last year, I came across Sara Saedi's book, Never Ever. It's about a modern day Peter Pan that starts off in New York and it is supposed to be BEAUTIFUL. I'ts been on my wishlist for forever now, and I AM SO GLAD I got the chance to talk to Sara for Meet The Authors. Don't Forget to enter the AMAZING Giveaway Sara is holding below! My iPhone, burt's bees lip shine (my favorite shade is called "spontaneity", Altoids (I hate gum, so I always carry mints), hair elastics (nothing stresses me out more than not having an elastic handy when I want to wear my hair up! ), and my rose colored sunglasses. No, seriously. They're actually rose colored. Getting eight hours of sleep, going on a run around the silverlake reservoir in Los Angeles, brunch with my husband/dog/and baby boy, a few hours at a cafe to read or write, take out Persian food for dinner (I'm too lazy to cook it myself! ), and catching up on my DVR recordings. I'm currently most excited about watching Big Little Lies. I loved the book, and it's always great to see female driven stories on TV. Also, I have a three month old baby, so right now the best part of my day is the first couple hours we spend together in the morning. He's full of smiles and generally more upbeat than he is as the day goes on. I'm actually very content living in Los Angeles. I feel grateful to be in California. I'm originally from Iran, but moved to the Bay Area when I was two, and have been living in LA for the last 11 years. BUT, I'm visiting Paris for the first time in July, so I might change my answer after that trip. 4. 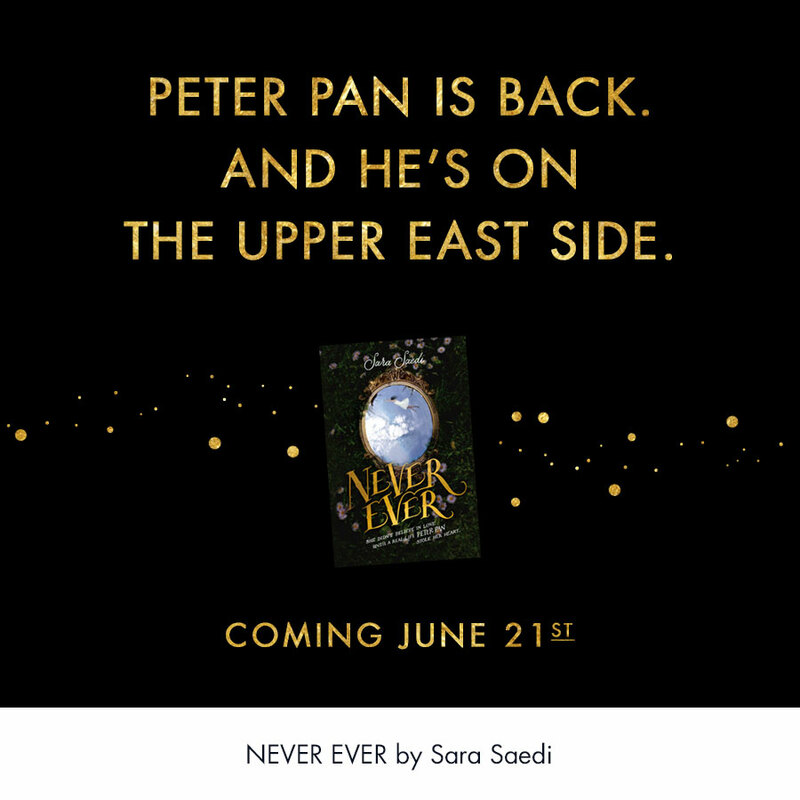 Tell us a little about what's different in your version of Neverland, in your book Never Ever? A lot! I would say Never Ever is much darker, particularly with the direction it explores with the character of Phinn (my Peter). I was really interested in telling a story about first love that doesn't turn out the way you want it to. A lot of the YA romances I've read in the past dealt with two characters who were absolutely perfect for each other-- and that's not always the case with young love. If I married my first love, I think I'd be really unhappy today. I also wanted to delve deeper into the psychology of the characters from Peter Pan. In a lot of ways, Peter is a classic narcissist. Tinkerbell totally had co-dependency issues. And Wendy had a real impulsive streak. Doing a retelling is a blessing and a curse. On what hand, it helps get your book attention. Anyone who loves Peter Pan will naturally be drawn to the story. On the other hand, it's challenging to satisfy die-hard fans of the original story when you write something that's such a huge departure. My version is a bit edgier in tone. It's just as much Gossip Girl as it is Peter Pan. 5. Was Peter Pan your favourite tale as a Kid? What did you love most about it? Yes, it was one of my favorites. Believe it or not, I've never read the original book. That may drive some readers crazy, but it was the Disney version that stood out to me as a kid. When I came up with the idea for Never Ever, I stayed away from the source material, because I didn't want to be overly influenced by it. I've always loved the notion of eternal youth. I'm a bit nostalgic about the past, and have always found it challenging to move from one life chapter to the next (I was so sad when I turned 20, because it meant my teen years were forever behind me!) There was something fascinating about a setting where no one ages into adulthood. I loved getting to explore the idea that staying young doesn't necessarily prevent you from growing up. 6. If you could give piece of advice to your main characters what would it be? I would tell Wylie to be less impulsive, but to also not beat herself up about her decisions. From the reviews I've read on Goodreads (Yes, I read reviews), some readers have been really tough on Wylie. I understand why they might be hard on her, but I think we expect our female characters to make the right decisions all the time. It's interesting that some readers are much more forgiving of Phinn and he does some pretty questionable things. I would tell Phinn to let go. It's not healthy to try to control everything in life-- even if that's what makes you feel safe and empowered. Finally, I would tell Tinka to move on and find a guy who's not going to string her along! 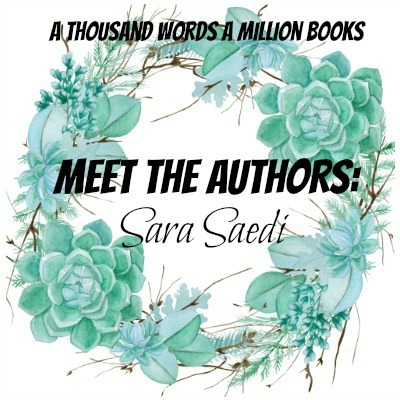 Sara now writes novels for teens and TV for everyone. Credits include the ABC Daytime web series What If…(she won an Emmy) and the FOX sitcom The Goodwin Games. These days, Sara writes for the CW’s iZombie. She lives in Los Angeles with her husband, her son, and her pug, Mabel. Look for The Lost Kids (the sequel to Never Ever) in spring 2018, and Americanized (a memoir about growing up as an undocumented immigrant) in January 2018. Blurb Description: Wylie Dalton didn’t believe in fairy tales or love at first sight.